Karina Melvin is an author, psychologist, and creator of the ‘Artful Eating' podcast and ‘Artful Eating At The Table’, a transformative online program. She also wrote Artful Eating: The Psychology of Lasting Weight Loss which is a best-selling book in Ireland. She runs her own clinic, Sandymount Psychotherapy, and lectures in Psychotherapy at the UCD School of Medicine in St Vincent’s Hospital, a teaching hospital located at Elm Park, south of the city of Dublin, Ireland. Karina is a Registered Practitioner member of the Association for Psychoanalytic Psychotherapy in Ireland and a member of Psychological Society of Ireland and the Irish School of Lacanian Psychoanalysis. 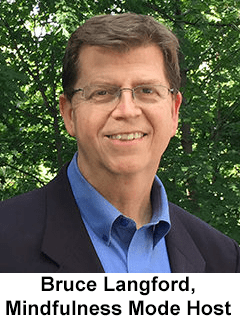 Mindfulness has affected my emotions by just being aware. Awareness. Sometimes we can really get drawn into someone else's bad mood or negativity or drama or issue, but when you're being much more mindful about your life you're much more inclined to be drawn into their issues and struggles as well. When I meditate in the morning, I really am connecting with my breath. That helps me connect with my being. Whenever I find myself completely frazzled and stressed, I just come back to breathing, three deep breaths, breathing in, 1,2,3, and out, 1,2,3. It just centers you so you can get back to that place of present. App: No Apps. We don't need to outsource ourselves. 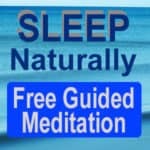 Get the brand new ‘Sleep Naturally' Guided Meditation by Bruce Langford. A deep, easy sleep is yours to enjoy. Sleep naturally and fall asleep easily. Drift off to sleep with a calm, gentle voice. Rest comfortably, without effort.